Interview With An Author: Tanuja Desai Hidier - Writer's Relief, Inc.
Tanuja Desai Hidier is an award-winning author, singer-songwriter, and “booktrack” innovator. The recipient of the 2015 South Asia Book Award (for Bombay Blues) and the James Jones First Novel Fellowship Award, Tanuja’s short stories have been included in numerous anthologies. Her pioneering 2002 first novel, Born Confused, was named an American Library Association Best Book for Young Adults and became a landmark work, recently hailed by both Rolling Stone magazine and Entertainment Weekly as one of the greatest YA novels of all time. CONTEST: Leave a comment by January 26, and you’ll be entered to win a triple prize: a copy of Bombay Blues, a copy of Born Confused, and Tanuja’s “booktrack” album Bombay Spleen! U.S. residents only. This contest is now closed. Congratulations to our winner, Hannah H! As with most things, I knew very little about it…until I was actually in it. I sold my first novel, Born Confused, based on a proposal. This came about through a serendipitous meeting with the person who would become the editor of both of my books, David Levithan (we met at a music gig). It was a bit unusual to sell a novel like this; I had a deadline in place from the get-go and it helped immensely to know there was someone out there waiting for it. It was a fantastic experience. All that said, I didn’t have an agent throughout the entire process, so that aspect had its challenges. The biggest revelation I had about the publishing process is that the work isn’t done once your book is completed—it’s then that a new phase begins. And unless you’ve got a major PR campaign behind you, you’re going to have to do a significant amount of the promo yourself. Why? Because no one else is going to care about your painstakingly, lovingly rendered fictional world as much as you do. So be prepared to spend the post-writing phase doing events, connecting with readers, updating your website…everything needed to give your book baby its best chance as it toddles out into the world. You may end up doing a lot of unpaid writing (blogs, e-interviews, web content) during this process. You may feel fairly odd—or exhilarated—after the long period of inward-looking novel-writing takes to now be “out there.” But this is all part of the process. So: Enjoy it! Try to remember that this is the moment you’ve been writing your way toward. I finally gave in (that’s what it felt like at the time) and joined Facebook, purely for the purpose of researching my second novel, Bombay Blues. I didn’t post much on Facebook during the writing process, but it was an invaluable research tool. Not only was Facebook vital for reaching people, it really helped me keep one foot in Bombay while I wrote from London. So my relationship with Facebook grew organically, and it proved to be a great way to get the word out about book events once Bombay Blues, Bombay Spleen, and Born Confused were out in the world. When Bombay Blues came out, I joined Twitter and Instagram—with much reluctance and trepidation—at the gentle but firm suggestions of my agent and the publicity team at Scholastic. I suppose because the novel-writing process—where you are living in your head, in your imagination, delving deep into inner space for a loooong time—is the direct opposite of the social media-engaging process. I would say social media has been more positive than anything, as it’s allowed me to connect with readers…which is always wonderful. And when Bombay Blues received the 2015 South Asia Book Award, I saw the news on Twitter first! Really, the main struggle was internal. I doubted whether I had what it took to write a novel. In short: not realizing the value of my own story. I’d realized at some point during my post-university years in NYC that I wanted to write an Indian-American story—but felt I wasn’t Indian enough nor American enough to do so. I’d never fully felt a part of either side of my hyphen. But, as I realized later, that was a part of being part of it. And in writing Born Confused, tracking the main character’s journey from confusion to creativity—or, rather, redefining confusion to creativity—I took that journey myself. 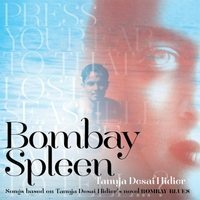 We love the fact that Bombay Blues has a “booktrack,” titled Bombay Spleen, and that the two came to be simultaneously. Please tell us more about the relationship between Blues and Spleen. Writing both a novel and an album just felt like a natural way for me to explore and express this story: Books and music have been a part of my life since I was a child, and as an adult I was the frontwoman in bands in NYC and London. I wrote and directed a couple of short films when I was living in NYC, and working on the soundtracks (though not original music) gave me an experience of linking sound and story. I’d also already made an album of original songs to accompany Born Confused, two years after that book first released: When We Were Twins, which was featured in Wired magazine for being the first ever “booktrack”—exciting! Bombay Blues is my prose poem to Bombay; Bombay Spleen is the sonic part of this same tale. The writing process for the book and album was fully intertwined from inception to fruition: It took me three years of burning the candle at both ends to complete both—and they were finished within days of each other. A lovely perk about working in both media was that if I was stuck on a particular scene, I could start singing about it and try to explore it that way. Conversely, if I was pondering a song, I could write the scene and discover the heart of it. I didn’t have an agent when I sold my first novel, Born Confused, on a proposal. But once the book was out, it seemed wise to have someone on board to deal with the sub-rights, foreign rights, film/TV rights, and so forth. It had been a little challenging dealing with the first-time author book contract without an agent—partly because I knew nothing about the industry and had no time to learn it. Luckily, I had a friend who was a lawyer and extremely generous with her time; she helped me comb through all the legal jargon and hang tight to some of my rights, such as for film/TV. The very afternoon of the Born Confused book launch in NYC, I met with the person who became my agent; we connected through the recommendation/introduction of two friends, one a nonfiction writer who knew her, another an editor from The Paris Review, where I’d worked years ago (they both recommended the same person). So for my later books, it was great having an agent already in place to negotiate the contract. It’s good to build a community of writer friends to facilitate making connections—and for commiserating or celebrating together! An opportunity. To review, rethink, revise. Or not. Write it without worrying about whether it will get published. 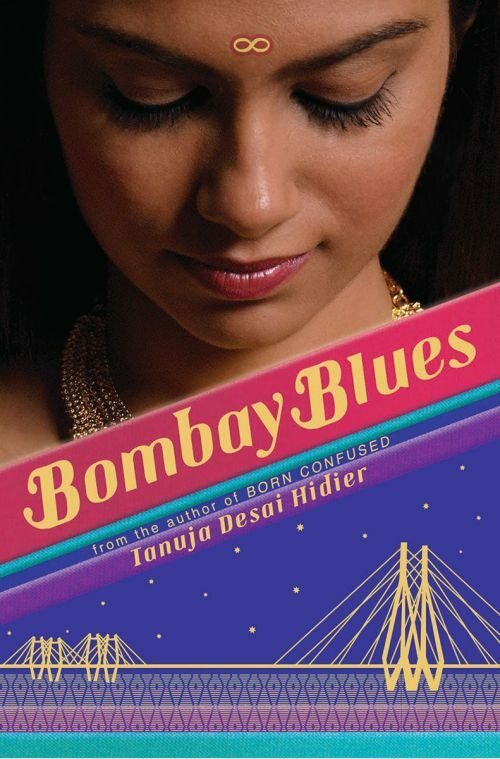 2015 South Asia Book Award winner Bombay Blues—the long-awaited YA-Adult crossover sequel to Born Confused—sees heroine Dimple Lala journey from New York City to India, and adolescence to adulthood, all the while navigating the border between the traditional and the modern, the self and the other. Her heart and her art. Set against the backdrop of Mumbai’s contemporary indie music and arts scene, Bombay Blues explores what this new diasporic generation faces today—with a heady mix of uncertainty and determination, despair and inspiration, haunting loss and revelatory love. CONTEST: Leave a comment by January 26, and you’ll be entered to win a triple prize: a copy of Bombay Blues, a copy of Born Confused, and and Tanuja’s “booktrack” album Bombay Spleen! U.S. residents only. This contest is now closed. Congratulations to our winner, Hannah H! For more information on Tanuja, please visit her website. You can follow her on Twitter, Facebook, Instagram, and YouTube! Hannah H. was randomly selected as our winner. Congratulations again, Hannah! Hello Brian! Thank you so much for reaching out, Chauger! Hope you enjoy the books and albums. The protagonist’s street/house are based on Millbrook Drive and Circle! Hi Tina, I enjoyed watching your interview. Although I haven’t read your books yet,I plan on doing so shortly.”Born Confused” seems like it will be a great read, especially because it is based on your own experiences. Keep up the great work! This old high school friend and classmate is looking forward to seeing,listening and reading more from you. Your friend, Brian. Hello all you lovelies! Ivy9, Hannah Harper, Ariel, Catherine, Femi, Eden, Sajad…thank you as well for reading! Do hope you enjoy Born Confused and Bombay Blues. And I look forward to reading YOU one day! Come visit me at http://www.ThisIsTanuja.com….and also, if you have a minute, http://www.Facebook.com/ThisIsTanuja! Perhaps we’ll meet at an event one day (maybe mine…or yours!). Hello. I really had a great enjoyable time by reading this interview. Intelligent response, especially about rejection: an opportunity. Enjoyed reading this interview. Born Confused is a great book. Inspirational writing. Stick to it. It is motivating. Thanks for sharing this interview. It was especially interesting for me, because I’m from Iran. I’m writing my memoir. I found it helpful. I look forward to reading the book. Good luck. Thanks for providing us with this interview Ms. Hidier it was educational and enlightening. What resonated with me most was when you stressed to “Write it without worrying about whether it will get published”. As a young writer I love hearing the success stories of others because this means that anything is possible if you keep on trying. I haven’t had much “me” time to read lately but I’m sure that taking the time to indulge in Bombay Blues and getting lost in the story would be beneficial to me. Thank you so much dear Sandra and Katherine–so thrilled you’ve been enjoying Dimple Lala’s journey! Excellent interview! As a Library Specialist, I’m always searching not just for great books, but information about the author’s behind them. I love the advice to write without worrying about it getting published. Giving people what one thinks they want doesn’t produce as great of work as writing something you yourself would like to read. This was a lovely interview and so interesting to hear about how Tanuja first entered the world of publishing. Looking forward to reading Bombay Blues! Bombay Blues is an exceptional piece of writing that transports the reader to the enchanting, kaleidoscope world of protagonist, Dimple Lala. I loved inhabiting that world and look forward to reading Born Confused. Thank you, Tanuja, for sharing your rare gift. I love Tenuja’s books! I fell in love with “Born Confused” and can’t wait to read Bombay Blues! Thank you for reading, D. Morgenstern!